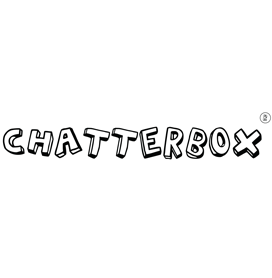 Chatterbox is a leading supplier of boys’ and girls’ footwear and it’s not hard to see why. Our selection of Chatterbox girls shoes can be found on this page, where you’ll find great-looking shoes at low prices. Coming in a range of colours and designs, you’ll find a pair that even the pickiest princess will love. Need some sandals for summer? Our Chatterbox girl’s sandals are perfect. With glittery and fruity designs, they’re perfect for those summer days out. Pair them with a dress for occasions or parties. With free delivery and a cheap price, our Chatterbox girls’ sandals are a sure-fire winner. Our Chatterbox girls’ boots will keep your little lady’s feet nice and warm when the sun stops showing its face. 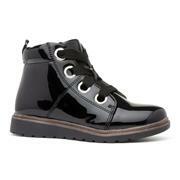 In a variety of designs, from lace up ankle boots to faux suede to pattern knee high boots, you’ve got a great choice. We’ve selected these shoes because they’re sturdy and look great and we think you’ll agree. Come rain or shine, Chatterbox’s range will keep your little one looking stylish all year round. As always, check out our online exclusive designs and grab yourself a bargain with free delivery and great prices. Our entire selection of Chatterbox girls’ shoes can be found below for your browsing pleasure. 21 products from £7.99 to £24.99.